To enter, upload your best cycling related photo captured in Victoria's High Country. The winner will become a Ride High Country Ambassador for our 2019-2020 cycling season and their best photo will be featured on a large outdoor display. Only JPG or PNG file types are allowed. Maximum file size is 10MB. 1. This promotion is open to anyone with the exception of employees of the participating agencies. 2. This promotion is valid from 15 March 2019 – 31 April 2019. All entries must be received by Tourism North East before 5.00pm on 30 April 2019. Submit entries via the competition portal on www.ridehighcountry.com.au by submitting a photo and entering personal details. 3. By submitting a photo and entering the competition, all participants agree to their submitted photos being used by Tourism North East, as part of the Ride High Country campaign in perpetuity. Uses may include, but are not limited to, on www.ridehighcountry.com.au. www.7peaks.com.au, any social media accounts managed by Tourism North East, paid media and advertising managed by Tourism North East. Photo credit will be applied where appropriate/possible. 4.  Major Prize Selection: Participants must enter at least one photograph related to cycling within the Victorian High Country and submit personal entry details in order to be eligible to win the major prize. Participants will be awarded one entry for every photograph entered up to a maximum of 5 entries. The winner will be chosen by a panel of Tourism North East experts. 5. Participating agencies include: Mount Buffalo National Park (represented by Parks Victoria), Mt Buller Alpine Resort, Dinner Plain Alpine Resort, Falls Creek Alpine Resort, Hotham Alpine Resort plus the LGA’s of Alpine Shire, Rural City of Benalla, Indigo Shire, Towong Shire, Mansfield Shire and Rural City of Wangaratta. 6. The winning entry will be determined on Wednesday 8 May 2019 by 5pm in the offices of Tourism North East, Level 1, 19-23 Camp Street, Beechworth VIC 3747. The winner will be notified by phone and confirmed in writing. The results of the competition will be posted on www.ridehighcountry.com.au for a minimum of 28 days plus the winning entry will be posted on the Facebook and Instagram accounts for Ride High Country. If for any reason another winner is required such as for unclaimed prizes, it will be conducted on Wednesday 27 March 2019 at the same time and place mentioned above. Results of a second winner will be notified on the website and social media. 7. Major Prize: The winner will be: Made a ‘Ride High Country Ambassador’ for the FY 2019-20. The winner has the right to call themself a ‘Ride High Country Ambassador’. Have the honour of their photography being used in a minimum of 1 large format out of home (billboard) advertisement for Ride High Country in FY 2019-20. All production costs will be covered by Tourism North East. No additional royalties, commissions or fees will be paid to the winner. Invited to a Ride High Country Social Media Ambassadors cycling weekend in a to be specified High Country location sometime in 2019. Inclusions: 2 nights accommodation for 1 person, food and drinks. Travel to and from the destination is at the winners expense. Any imagery collected at this weekend may be used by the winner in their own social media feeds.